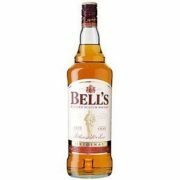 View Cart “Bells Whisky | 70cl” has been added to your cart. 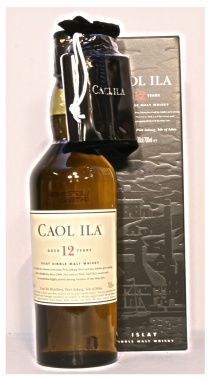 This 12 year old is the entry level bottling from the Caol Ila distillery, launched in June of 2002 this expression is light and fresh with that distinctive Caol Ila smoke. Nose: Fresh, herbal. Rubbed peppermint leaves, stemmy, damp grass, smoky. Oily, cigar leaves, smoked ham, hickory. Palate: Good body, oily, tar, elegant smoke. Hints of boiled sweets. Finish: Long, peppery, spicy warmth, smoke. Famous grouse is known for its smokey character with a touch of sweetness, citrus and malt. It is a full flavored blend, that has some lovely vanilla sweetness, yet finishes clean and dry. Alcohol 40% Volume. 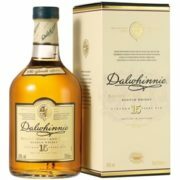 This smooth single malt has an elegant full taste and aroma that captures fruity, floral and oak wood notes, with fascinating overtones of honey, vanilla and spice. Alcohol 43% Volume. Bell’s is a blend of some 35 mature malt and grain whiskies from the Highlands, Islands and Lowlands of Scotland, including the Blair Athol malt, which are brought together to create an outstanding Scotch whisky blend. The result is a well-rounded and consistent character with a distinctive nutty and spicy flavour that makes Bell’s truly `Extra Special’. Every whisky in the blend, both malt and grain, combines to ensure that Bell’s Extra Special remains wonderfully rounded and smooth. Alcohol 40% Volume. Dalwhinnie is the highest of all the distillers in Scotland and place so to take advantage of the cleanest springwater possible. Dalwhinnie has a smokey, floral aroma and a delicate palate of heather and honed malt. A serious Whisky, yet approachable to the beginners. Alcohol 43% Volume.